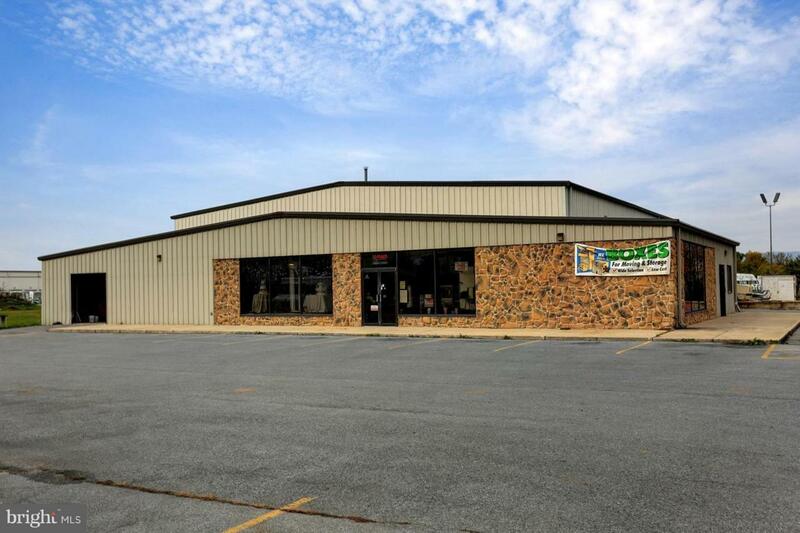 Multi-use facility on 2.87 acres with location very convenient to I-81. Building contains 12,600 sq. ft total space. 5,000 sq. ft. of office/store and 7,600 sq. ft. of warehouse space. (3,500 sq. ft. of loft in warehouse). Zoned general industrial. Can be used as trucking repair facility. See Associated Docs for other possible uses.